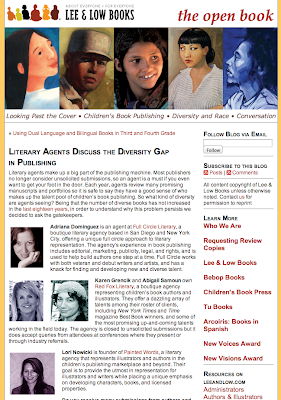 KID LIT CON Tip: How Do You Know Which Blogs To Tell About Your Book? This year's conference of bloggers of children's and teen literature, KidLitCon13, happened in Austin, Texas in November. While I went to present and meet my fellow kid-lit-obsessed blogger peers, I also learned a lot from the sessions I attended. One tip I'm especially excited about was from MotherReader, a.k.a. Pam Coughlan, in her session "Beyond the Blog for Authors and Illustrators." A little bit of set up: The Cybils Awards are annual book blogger awards for children's and teen literature. Problem: How do you figure out which blogs to aim for in promoting your book? Illustrate and Write On, and Happy New Year! A while ago, I had a really exciting opportunity for a book I thought was going to be shelved forever. Like, really exciting. Think publication. It was a small press, and that was fine. Not my original dream for my book, but still an opportunity to get it out there in the world and read by people. Maybe people who didn’t even know me would read my book. Maybe I would get fans. Maybe people would send emails begging for a companion novel set in the same world with the same people because it was just that cool. Someone might even get a tattoo of their favorite quote with a symbol of the book and send me the picture and I could tweet it and feel awesome. Despite all those maybes (and there were plenty more), I noticed something. Not all of me was excited. 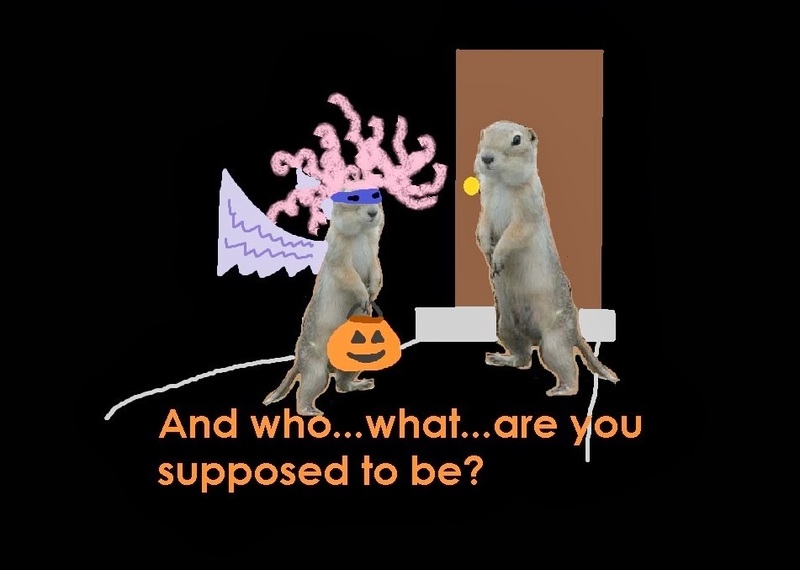 While the hyperactive happy puppy part of my brain was gamboling about imagining a fan-run wiki and people dressing up like my characters for Halloween, the cranky leash-holding part of my brain was saying, “Heel, pup, because something ain’t right.” It didn’t feel safe. So I did two things. First, I did more research on the publishing company and their books and authors. I asked around. I asked friends to ask friends to ask friends. The results were mixed. In the name of realizing a publication dream, I might have gone for it. But the second thing I did was sit quietly and think about what I wanted. (Fine, we’ll call it what it was: brooding.) Did I want this particular book to be my debut novel? Did this book represent my best work? Would it put me on the path to writing more of the same, or would it allow me to grow and experiment? This was an old manuscript—I wasn’t even writing in that genre anymore. And what about self-promotion—how much time and energy would that take away from my new WIP? We all know what happened in the end. Obviously, because um, I haven’t published a book. Maybe I never will. But it was important to me to follow my intuition, improve my craft, and wait. 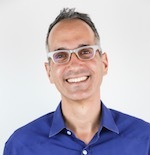 At the SCBWI Summer Conference in August, agent Steven Malk talked about slowing down and having a plan, really evaluating where you want your writing career to go. Steven Malk addressing kidlit lovers at the SCBWI Summer Conference in 2013. I'm off to the far left--sitting next to one of my writer crushes, Sonya Sones! Thank you, Lee Wind, for permission to use the photograph. Where do I want my career to go? I want my first book to be the best possible work I can show my audience. If I don’t give them my best, I won’t have an audience. That book I was talking about? That wasn’t my best. So I’ll slow down, keep learning, keep writing, and hope that someday I write a debut book I’m proud to share with the world—maybe not a book worthy of tattoos and Halloween costumes, but a first book that makes the audience want to read my second one. I read this back at Halloween-time and asked Beth if she would share it here as a guest post over the holidays - she kindly agreed. Check out more of her posts at YA Muses. 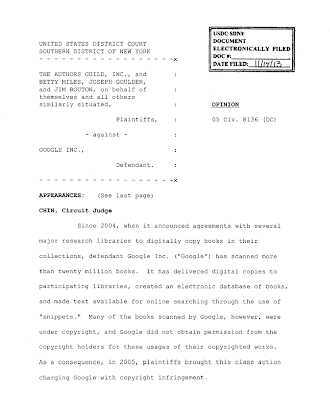 Legal News Catch-Up: Google's Book Scanning Found To Be "Fair Use"
After 8 years of litigation over Google's broad-scale scanning and indexing of more than 20 million books in libraries, Judge Denny Chin has granted summary judgment in favor of Google, ruling that their work qualifies as fair use. The revised case brought by the Authors Guild and individual authors has been dismissed. Judge Chin's ruling is sweepingly in Google's favor, praising the service the company has provided and offering no shades of grey or nuance of interpretation in weighing whether it qualifies as fair use. Judge Chin's examination of all four factors to evaluate fair use is unequivocable, beginning with the significant first factor of whether the service is transformative: "Google's use of the copyrighted works is highly transformative. Google Books digitizes books and transforms expressive text into a comprehensive word index that helps readers, scholars, researchers, and others find books. Google Books has become an important tool for libraries and librarians and cite-checkers as it helps to identify and find books. The use of book text to facilitate search through the display of snippets is transformative." He suggests "the display of snippets of text for search is similar to the display of thumbnail images of photographs." Google Books "uses snippets of text to act as pointers directing users to a broad selection of books." Additionally, "Google Books is also transformative in the sense that it has transformed book text into data for purposes of substantive research, including data mining and text mining in new areas, thereby opening up new fields of research. Words in books are being used in a way they have not been used before." Yet "it is not a tool to be used to read books," so it does not take their place. On the third factor, which addresses the amount of the original used, Judge Chin finds the scanning of entire books reasonable and permissible. "As one of the keys to Google Books is its offering of full-text search of books, full-work reproduction is critical to the functioning of Google Books. Significantly, Google limits the amount of text it displays in response to a search." On the fourth factor, which considers the effect of the usage on the commercial market for the copyrighted works, the eight years that have passed since the litigation began more or less answered the question for the judge. He says the plaintiffs' arguments that "neither...makes sense." 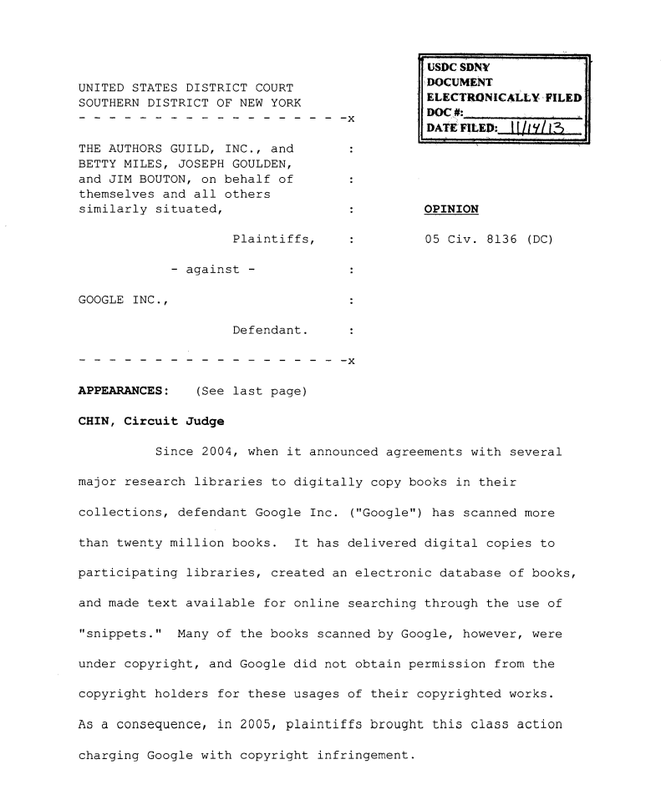 Rather, he leans in the opposite direction, as Google has suggested from the inception of the program, saying that it addresses the discovery problem so prominent in creators and publishers minds these day: "A reasonable factfinder could only find that Google Books enhances the sales of books to the benefit of copyright holders. An important factor in the success of an individual title is whether it is discovered -- whether potential readers learn of its existence. Google Books provides a way for authors' works to become noticed, much like traditional in-store book displays. Indeed, both librarians and their patrons use Google Books to identify books to purchase." Chin declares, "In this day and age of on-line shopping, there can be no doubt but that Google Books improves books sales." Fascinating and important to know. What's the Second Most Competitive Job in America? Based on data from the Occupational Information Network (O*NET), a U.S. Department of Labor database full of detailed information on occupations, here's a list of the 10 most competitive jobs in America. Poets and Creative Writers are #2. The above is a fun statistic to know about, but how crazy is it that "U.S. President" didn't make the top ten? ps - Thanks to my Dad for the heads-up, and link. 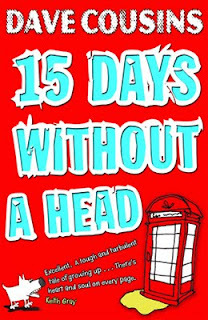 Dave won for the UK/Europe division for his young adult novel, "15 Days Without A Head"
Dave: "15 Days Without a Head" is the story of two brothers. Fifteen-year-old Laurence just wants to be a normal teenager, but spends most of his time looking after the boys' mum, who suffers from depression and drinks too much. Jay is six; he looks like an angel, but thinks he's a dog, and has a tendency to bite people he doesn't like. When their mum fails to come home one night, Laurence tells nobody, terrified he and Jay will be taken into care if anyone finds out. Instead, he attempts to keep up the pretence that Mum is still around: dressing up in her clothes to trick the neighbours, and spinning an increasingly complicated tangle of lies. After two weeks on their own, running out of food and money, and with suspicious adults closing in, Laurence finally discovers what happened to her – and that's when the trouble really starts! The book has been described as "a tender, honest story about family, forgiveness and hope, with some hilarious and surreal moments" which I think sums it up quite nicely! Dave: I have been involved with SCBWI since 2009, and it has changed my life! My inclusion in the 2010 Undiscovered Voices anthology led to signing with an agent and a publishing deal for 15 Days – this eventually enabled me to work full-time as an author – a dream come true! In addition, my membership of SCBWI has made me many new friends. Going to the conferences and events always fills me with renewed energy and enthusiasm, thanks to the incredibly supportive and creative SCBWI community of writers and illustrators. Dave: It's incredibly difficult to get your work noticed, let alone published – but it does happen! Once you are published, making a living as a writer or illustrator, is getting more difficult than ever. But stories are important, so my one piece of advice would be: keep writing and illustrating the stories bursting in your head and heart to be told, and don't give up! The British Isles is the largest region outside the USA with nearly 700 members. We run over 40 events each year, including the annual two-day conference, a fiction and picture book retreat, an annual Agents’ Party, the Professional series (six talks a year in London aimed at professional development on a variety of topics), the Illustrators’ series (Saturday workshops with a hands-on craft element), sketch and scrawl crawls, masterclasses and PULSE events (SCBWI Pulse provides workshops, lectures and professional development for published children’s book writers and illustrators). A network of regional organizers run local critique groups, workshops and speaker and social events across the country. We have a dynamic newsletter blog, Words & Pictures. This is the third year in which one of our region's members has won the Crystal Kite and we are thrilled about that! “This book was first discovered in the SCBWI BI’s innovative UNDISCOVERED VOICES competition and it is thrilling to see it published and recognized by fellow members for its brilliant voice and humorous plot." You can find out more about Dave at his website here. And to learn more about SCBWI British Isles, visit them here. Congratulations to the Jane Yolen Mid-List Author Award Winner and Honorees! The SCBWI is proud to announce the winner and honor recipients of the 2013 Jane Yolen Mid-List Author Award. This grant gives $3,000 to mid-list authors to honor their contribution and help raise awareness about their current works-in-progress. The grant was created and is generously funded by critically acclaimed children’s book author and one of the first SCBWI members, Jane Yolen. Eve is the author of such works as Billy and Milly Short and Silly (Putnam) and Dog Crazy (Tambourine). 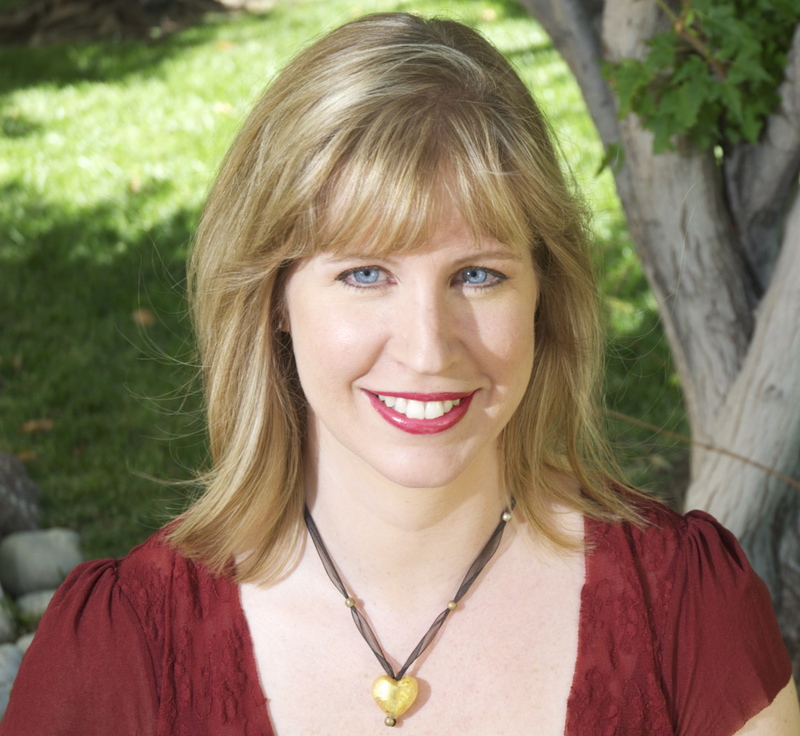 Eve has been a children’s book author and SCBWI member for over twenty years. You can find out more about Eve at her website www.evebfeldman.com. Two Honor Grants were also awarded to authors Verla Kay and Deborah Lynn Jacobs! Verla Kay is the author of Civil War Drummer Boy (Putnam) and Hornbooks and Inkwells (Putnam) among others. Learn more at www.verlakay.com. Deborah Lynn Jacobs is the author of the young adult novels Choices (Roaring Brook Press) and Powers (Square Fish). Learn more at www.deborahlynnjacobs.com. “At a time when publishing is changing, when delivery of story has changed more thoroughly than at any time since Guttenberg, the mid-list authors are finding it harder and harder to find a traditional publisher to stick with them. And though they backlist fine, they are not mega-bestsellers on the front end.” She continued, “Even well-known, mid-list authors are struggling. They lose editors, publishers, their books go out of print. As an upper mid-lister myself, I wanted to give back to my peers. So the Mid-list Award was born. It's not a lot of money, but it's a whole lot of recognition. SCBWI and I are saying, ‘We remember your books. We love your books. We need your books. Don't quit. Hold on. Write more.’"
Congratulations to Eve, Verla and Deborah! You can find out more about the Jane Yolen Mid-List Author Award and all the awards and grants offered by SCBWI here. I am confident that every member of SCBWI loves writing and/or illustrating above most, if not all, other activities. At the same time, I suspect the vast majority of people who join SCBWI do not do so solely for the love of writing and illustrating. They join because they want to be published. But what does it mean to be published these days? Let’s take a brief look at what’s happened to the publishing industry over the past few years. The “traditional” model, where an author submits a manuscript to a publisher who “acquires” it, pays the author an advance and then the author earns royalties if s/he earns out the advance, still exists. In fact, traditional children’s publishing is thriving, especially when compared to other genres. Several years ago, publishing began to change in a big way as new technologies, such as e-readers and tablets, emerged which enabled authors to self-publish and distribute their own work much more economically than had been possible in the past. We started seeing many discussions about “self” versus “traditional” publishing. These discussions have been useful, but what tends to get lost is that other opportunities to publish exist, opportunities that blend the best of both the self and traditional publishing worlds. My first book, A TROOP IS A GROUP OF MONKEYS, was published first as an interactive storybook app for the iPad and is now available in print. Most people, upon hearing the book was published digitally, assumed it was self-published. Not so. My publisher, Little Bahalia, acquired the manuscript with the intention of publishing it first as an app. The publisher edited the manuscript, hired and art directed the illustrator, produced the app, and published it to the iTunes store. The only thing “non-traditional” about this publishing deal was the format. My next book, MY LOVE FOR YOU IS THE SUN, will also be published by Little Bahalia in fall 2014 as a print picture book. This time, the approach we took was a bigger departure from conventional publishing. I ran a campaign (ongoing) to fund the initial costs associated with producing, publishing, and printing the book via Kickstarter. Little Bahalia, however, is still in the “publisher” role and I am still in the “author” role. In other words, Little Bahalia decided they wanted to publish the book under their name with the goal of eventually earning a profit from sales of the book. I’m not simply paying them for their publishing services, which is akin to self-publishing. In this model, I will provide the funds to Little Bahalia to publish the book, through the first-run printing, via the funds I raise on Kickstarter. In a “reverse advance” model, Little Bahalia earns out those fees via book sales. Once they earn back the fees, the royalty structure returns to a traditional model of the publisher receiving their share, the author, the illustrator, and in this case my agent, receive their shares. Why does my agent earn her commission? Because she helped me both develop and negotiate the contracts required to make this deal work. Freelance editor and publishing professional Emma Dryden wrote a fantastic guest post on this topic on my blog a couple of weeks ago about what is now being called “hybrid publishing,” or the “in-between” for those atmospheric writers out there. What’s even more interesting is that in the span of time I’ve been running the Kickstarter campaign for my book, two other well-published (traditionally), agented authors have announced their own projects that fall outside the exact realm of “traditional” publishing. Author/illustrator Katie Davis’ picture book, LITTLE CHICKEN’S BIG DAY, was published by Simon & Schuster in 2011. 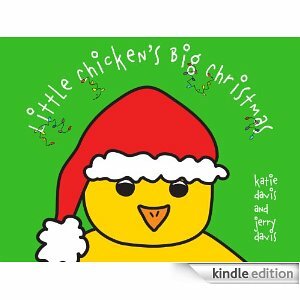 She and her husband wanted to write and illustrate a sequel titled LITTLE CHICKEN’S BIG CHRISTMAS, but as a self-published ebook this time. Katie’s agent consulted with S&S, got the go-ahead, and Katie published the book to the Kindle store in time for the holiday season. Ann Whitford Paul, of WRITING PICTURE BOOKS fame, and illustrator Nancy Hayashi recently self-published a print picture book called ‘TWAS THE LATE NIGHT OF CHRISTMAS because, as Ann said, “our book is not easily classified.” The book is a parody of Clement C. Moore’s famous poem but with a more adult slant, from the perspective of an exhausted mother in the post-Christmas chaos. What these three books all have in common is that they didn’t easily fit today’s market parameters for traditionally published picture books. Mine because it is a bedtime poem rather than a character-driven book with a narrative arc. Katie wanted to experiment with publishing an ebook with a fast time-to-market. Ann’s was written as much for adults as for children. Yet, each book has found an audience. Does the existence of non-conventional publishing options make membership in SCBWI less relevant? On the contrary, I think it makes SCBWI membership even more important. Why? Because the first thing we need to do before publishing is make sure we have a fantastic book to offer, and SCBWI is the master of teaching craft. Secondly, more publishers and agents themselves will be thinking about new and alternative ways to publish, and those opportunities will be presented to SCBWI members as they become available. Last, but certainly not least, the connections made within SCBWI are invaluable. I met my publisher at a regional SCBWI conference. I met the illustrator for MY LOVE FOR YOU IS THE SUN, Susan Eaddy, at the SCBWI booth at the Bologna Book Fair in 2012. In fact, I first pitched my agent Erzsi Deak at that same booth. 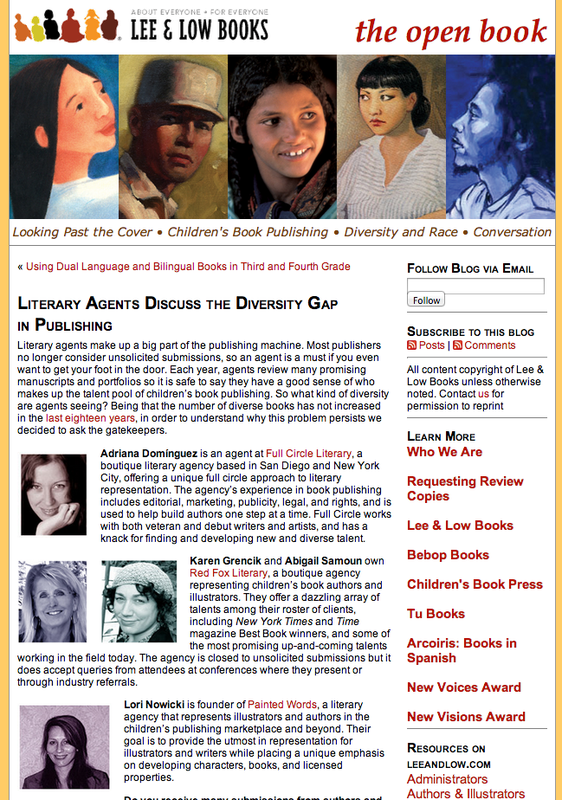 I met the host of this very blog, Mr. Lee Wind, at the 2010 SCBWI Winter conference in New York. Gather those contacts, serve them well, and keep them close. Some of them may lead you to traditional publishing contracts. Others may lead you to an “in-between.” Either way, it’s our audience, the children, who benefit by having more books made available to them in many formats and voices. Julie Hedlund is a Children’s author. She’s had two books published as interactive storybook apps for the iPad by Little Bahalia Publishing -- A TROOP IS A GROUP OF MONKEYS and A SHIVER OF SHARKS. A print version of TROOP was released in fall 2013. Julie is the creator of Julie Hedlund’s Template for Storybook App Proposals and the founder and host of the 12 x 12 picture book writing challenge, with more than 500 members. She is a monthly contributor on Katie Davis’ Brain Burps About Books children’s literature podcast, and a PAL member of SCBWI. "Less than one percent of the submissions I receive reflect people of color in the samples." "The author’s ethnicity... makes a tremendous difference when the story is told from the perspective of a person of color. Editors want those stories told by insiders to the culture." "I think writing for children is a luxury that not everyone can afford." "Seeing my son at preschool, surrounded by many other kids who are also multilingual and multicultural, and who already have a broader understanding of the world, gives me hope and confirms for me that diverse publishing is not a “niche” market, it is this country’s present—and future." "I think we need to have a kind of self-aware affirmative action in publishing where people of color are mentored, if need be, so we can have more books by and about people of color."